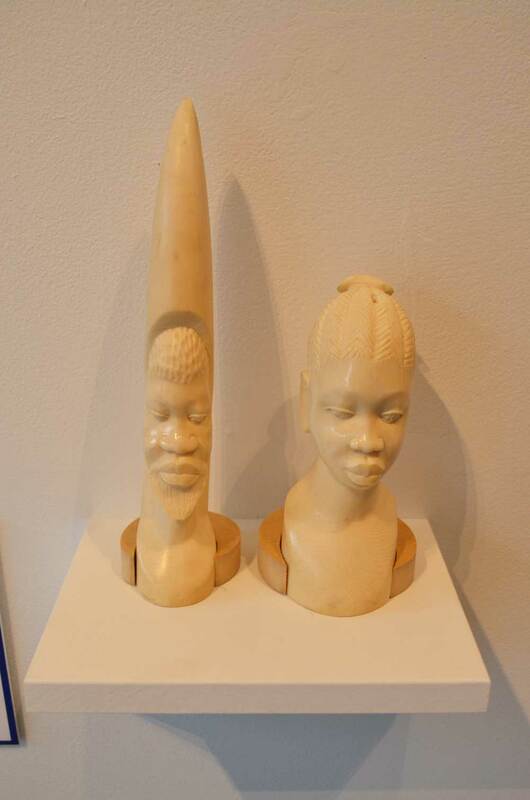 gift from Major and Mrs. Tembele Yangandawele, the two portrait busts, from the Republic of Zaire, are crafted in ivory, a medium that reflects both Zaire’s social and economic history throughout west-central Africa’s Lower Congo region. Minimalist in detail, the portrait busts are a reflection on the rich artistic culture that traces their heritage back to the Kingdom of Kongo. In this region, ivory was considered a precious and privileged commodity. Kongo chiefs would commission fine ivory sculptures and busts to reflect their wealth and power. With the rise of the transatlantic trade during seventeenth and into the nineteenth century, ivory’s commodity became a desired resource to Westerners. Ivory artisans from Kongo expanded their trade to not only works for their indigenous chiefs and the elite, but also to artifacts for European and other foreign leaders. 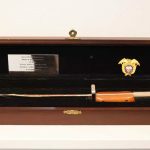 Considered a valuable and precious resource among the peoples of the Congo, this gift from Major and Mrs. Tembele Yangandawele represents Zaire’s long-standing affluence, mastery and heritage. Credit Line: Gift of Major and Mrs. Tembele Yangandawele, 1982.